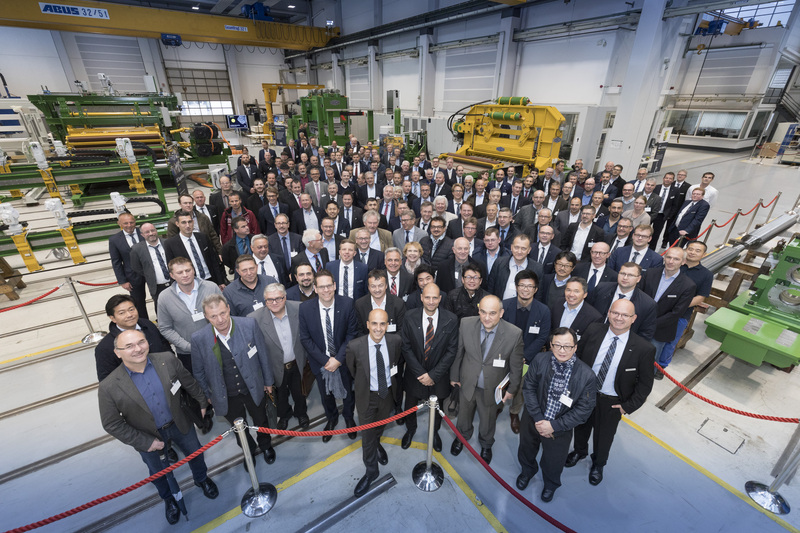 At the occasion of an in-house exhibition Heinrich Georg GmbH demonstrated its innovative power and adaption ability in special machine engineering. Kreuztal, November 14, 2018. On October 30th, GEORG organized a “Tech Fair” in which more than 150 people from around the world participated. The special topics dealt with digitalization and its effect in customers’ production processes. 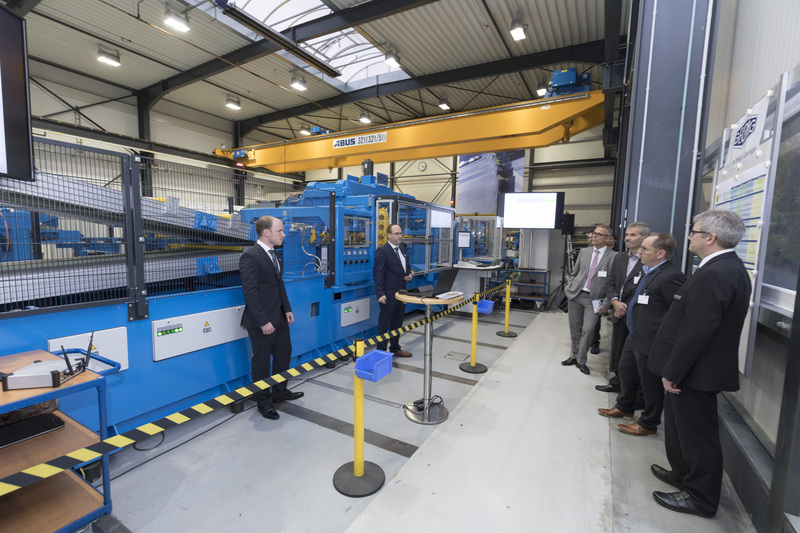 By live demonstrations at real existing GEORG machines the medium size family owned company showed that it is already internationally well positioned in regards to digitalization and IoT in special plant and machinery. The full day event was not only filled with presentations and speeches in the GEORG academy; at machines in two factory halls the visitors could convince themselves to which high degree GEORG has already implemented digital technology and on which future technology the company is actually working. 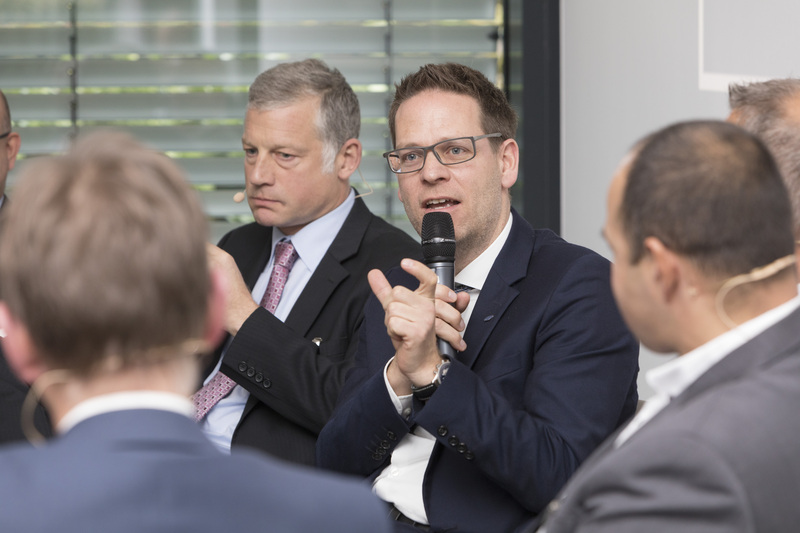 As topics like “digital transformation”, “automation technology”, “predictive maintenance”, “condition monitoring” or “autonomous transport systems” are of equal general interest, the event was hosted by all three business division together for the first time. 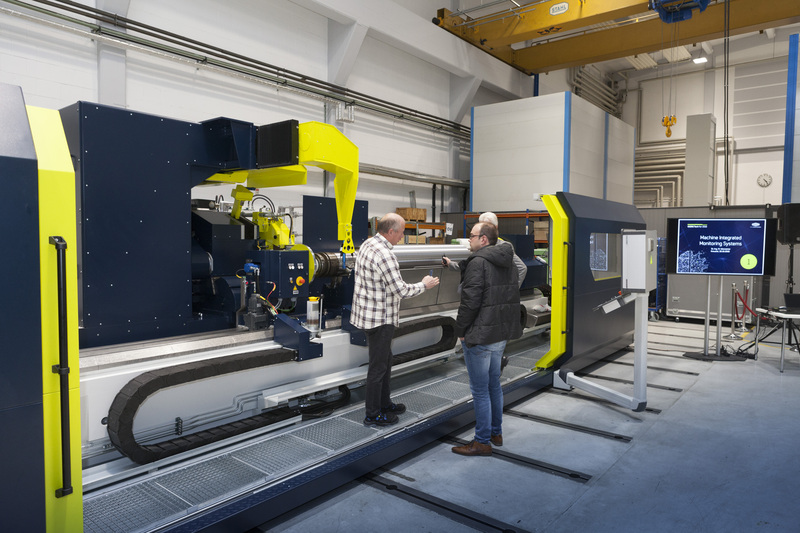 High automation degrees and interconnectivity of single units inside a production line result in optimized production processes. By analyzing machine data (Big Data and Artificial Intelligence) GEORG products reduce maintenance intervals and by using latest communication technologies the specialists from Kreuztal support their clients “live” around the world. complex algorithms evaluate a large number of machine data and give recommendations for optimum operation mode and preventive maintenance. Using “connected service” GEORG employees in Kreuztal have direct access to their machines all over the world and do assist customers during their work via chat functions whilst their counterpart at site can produce live videos via tablet about the actual situation of the line. The GEORG-App allows to follow-up each production and productivity status of the machine at any time. Handling robots stack sheets for power transformers, which require highest precision and high material output, fully automatically. Autonomously driving transport platform for loads of up to 120 kg using laser scanners for orientation; they don’t need neither rails nor floor embedded cables. In the last years GEORG has undertaken the step from a pure machine builder to a digital company. Most of the innovations have been developed inhouse. Cooperations with the Siegen University, RWTH Aachen, Fraunhofer Institute and other partner companies light the way into the future. Experts from different science fields discuss at GEORG’s Denkwerk, a concept that had been developed in 2015 already, about future challenges, tentative future technologies and new business models. The Tech Fair offered a wide angle view as well: Dr. Eric Klemp, Head of voestalpine Additive Manufacturing Center GmbH, showed chances and limits of another future technology, which at present is widely discussed in mechanical engineering: Additive manufacturing will soon revolutionize the production of complex shaped parts.